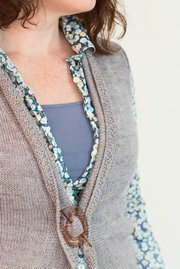 Oak Knoll was a featured retreat design at my 2016 make. wear. love. 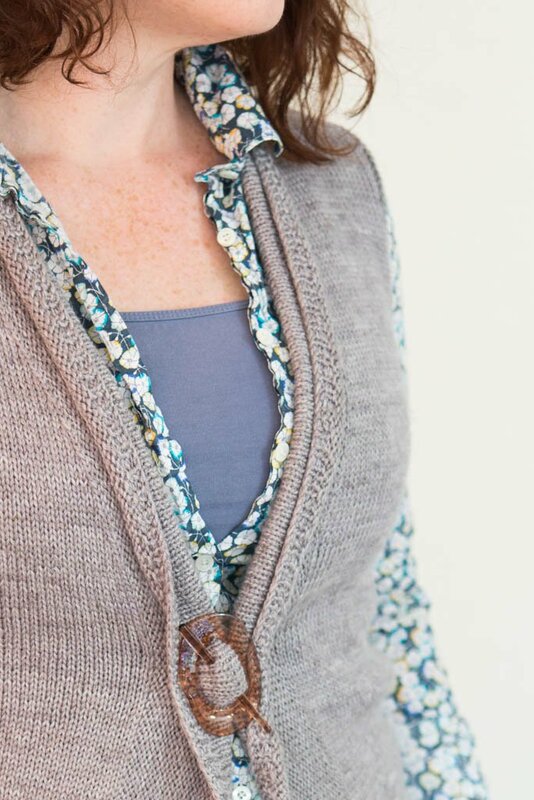 west coast retreat, worked up in two of our wonderful vendor A Verb for Keeping Warm's yarns. 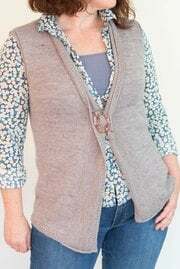 It's a nice design for the breezy California coast, or anywhere with a warmer season: Vests provide a great layer when you only need a touch of extra warmth, and the vest's trim has an easy wear-it-open, wear-it-closed style. 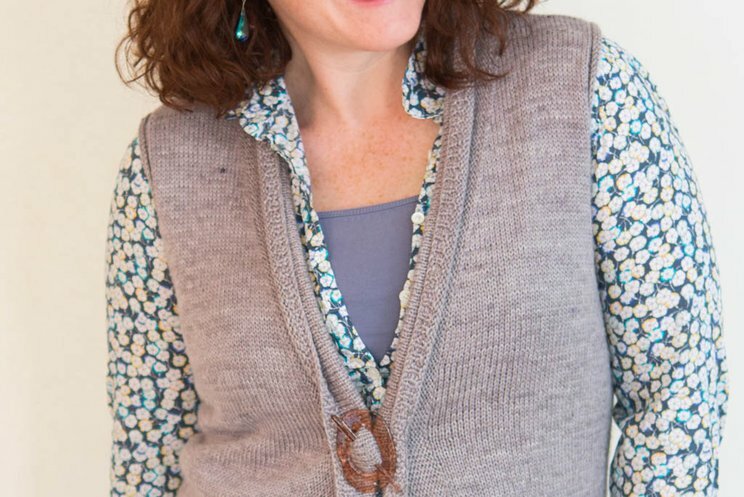 Armholes and the vest front are trimmed with rolled reverse stockinette stitch, and the button band is finished with a small amount of 1x1 ribbing to keep the edge from rolling. 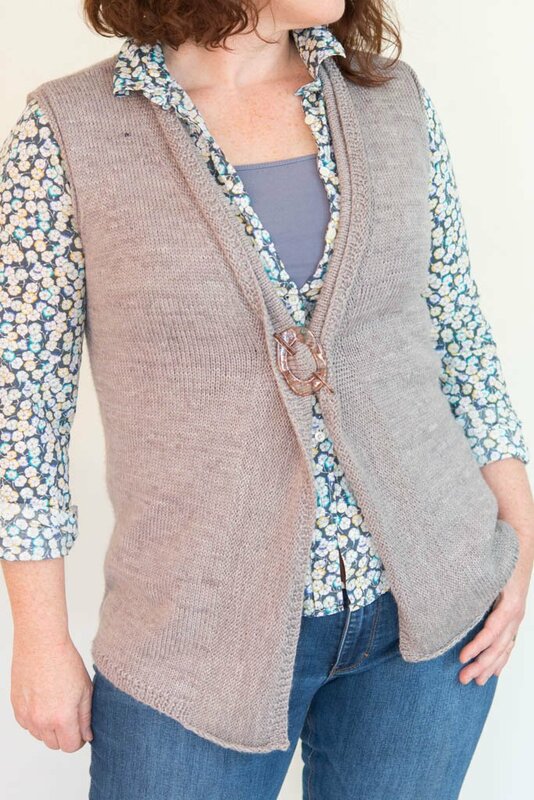 To keep with the casual nature of this cardigan, waist shaping is worked on the back of the vest only. 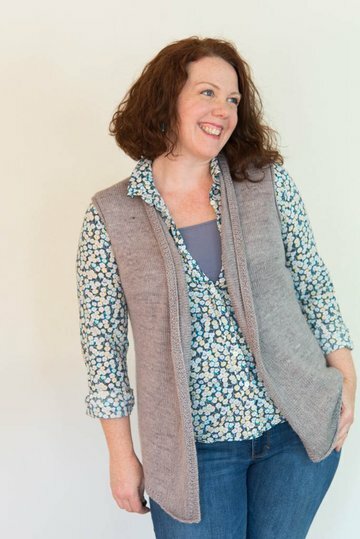 The fronts will measure the maximum of your bust, waist, and hip and continue straight from hem to armhole. I used two ultra-luscious yarns held together for this project: A Verb for Keeping Warm's Reliquary II and their Floating, both in the "Zinc" colorway. 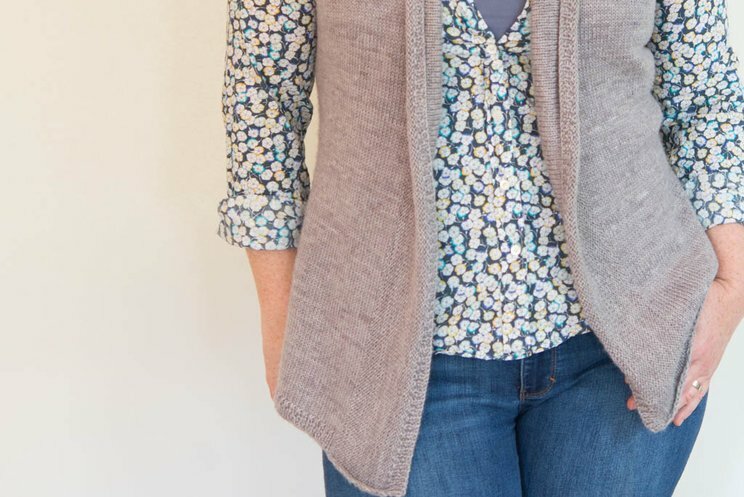 The mix of yarns produces an ethereal, wispy fabric that moves beautifully and is decadently soft - I liked them worked at 5.5 stitches and 8 rows to the inch in Stockinette stitch. If you are substituting yarns, I strongly suggest something very light, with a mix of silk and wool, to achieve a similar look to the garment shown.